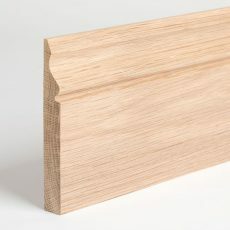 Our 15mm Engineered Oak is constructed as a multilayer board, consisting of a Solid Oak face or wear layer of 4mm, with an 11mm plywood backing that forms the T&G, and provides a good strong underside suitable for installation by nailing, gluing or floating. 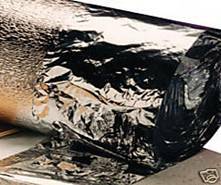 The underside is also ‘sealed’ with a final stabilising veneer. 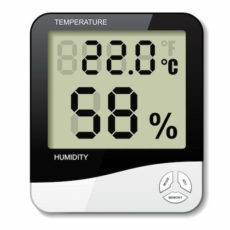 Although our engineered products have an underside of high quality plywood and are designed to provide extra stability after installation, they’re still constructed of all natural products.After proper and sufficient acclimatisation, the conditions during installation should be maintained as consistently as possible thereafter for optimum performance and to avoid dimensional movement of each board within the finished floor.For information on important, ongoing maintenance, please refer to our Care & Maintenance guide. 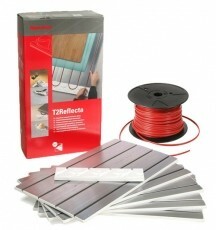 Can be floated, nailed down or glued down and is suitable for installation above UFH.Details of all these methods can be found in our Fitting Guidelines guide.This product is suitable for installation over UFH, as long as its surrounding conditions are maintained and controlled as required.The multiply back construction of our Engineered Oak flooring provides much greater stability than Solid Oak when subjected to varying levels of heat, humidity, and moisture. 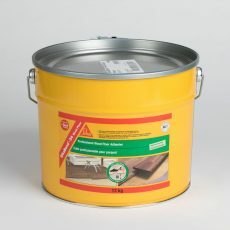 This also enable the boards to be manufactured a lot wider than solid without risk of cupping, which is associated with the wide solid oak boards available.This stability allows the floor to be installed as a floating floor where conditions permit, directly onto concrete or timber subfloors, and is ideal for floating floor installation over an underlay that can provide your floor with extra protection from possible moisture attack from beneath. 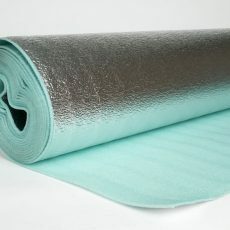 Click on this blue link for more information on the different Underlay we have available.Engineered Oak can also be fitted above underfloor heating when the correct installation guidelines are followed and the necessary levels of heat, humidity and moisture are maintained by the owner after installation. 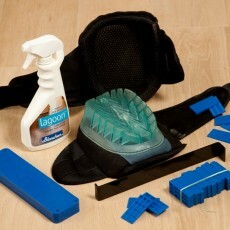 It is not a fault with the board and should be expected. 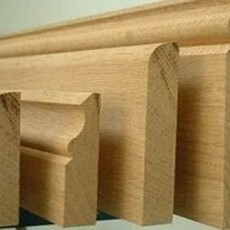 It does not cause any problems during installation because of the required staggered joint fixing for an oak floor. Obviously as each board is ‘surrounded’ when fixed, by at least another 4 boards, it is straightened and aligned perfectly every time. 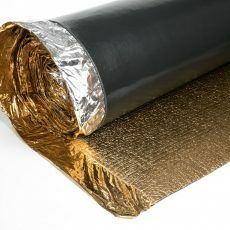 In fact, some fitters claim this actually strengthens the floor further.NB: Please note that our 15mm Engineered boards are not structural grade and when fitted using the floating floor method over large areas or over an uneven subfloor, some ‘give’ may be present within the floor after installation. 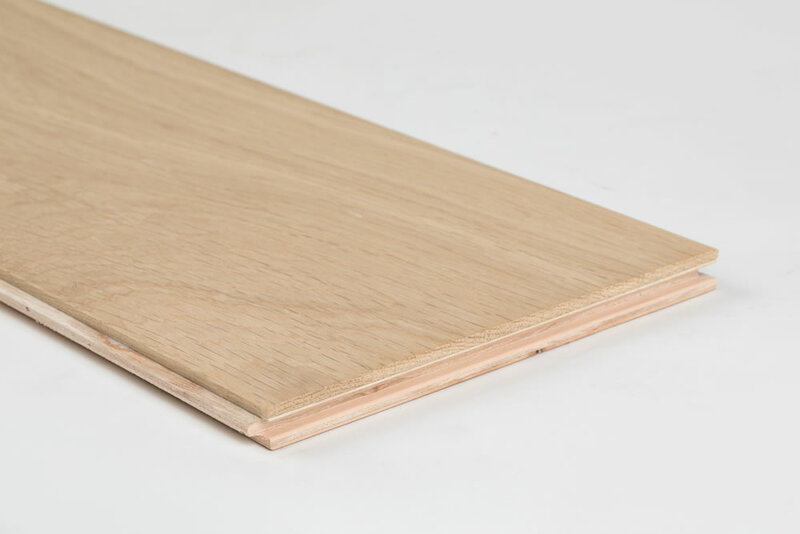 In such situations (or where there’s any risk of this happening) we advise that the boards should be installed by fixing down, either by nail or glue, depending on your subfloor. 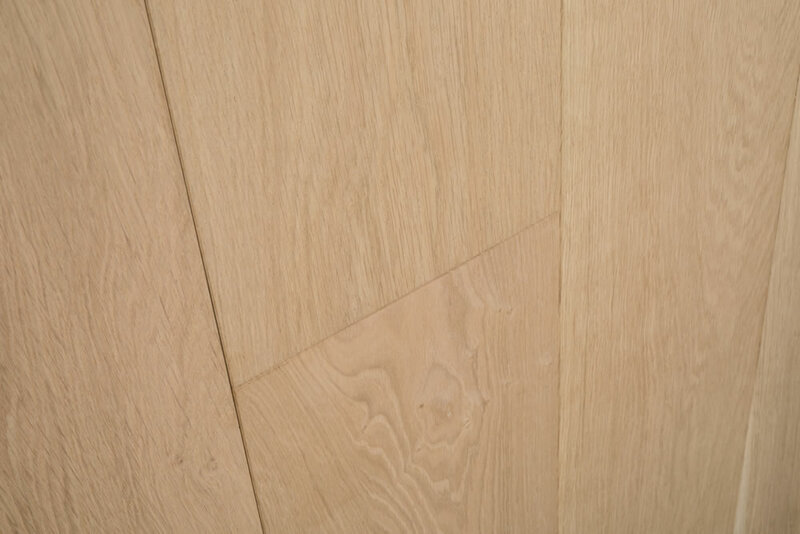 Our 15 x 189 unfinished engineered oak flooring is available as a micro bevelled meaning that by ordering this micro bevelled product, the width of each board within your finished floor will be defined by a small ‘v’ groove that the bevelled edge provides. 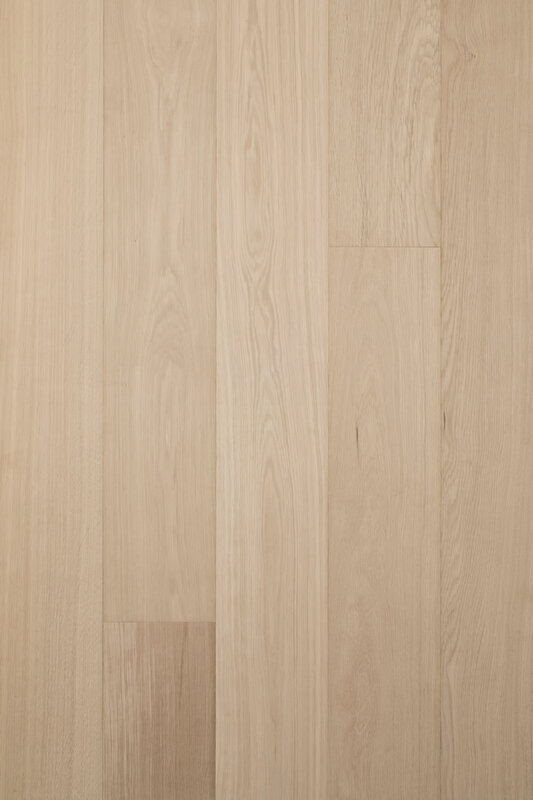 One of the best features of our unfinished engineered oak flooring is that you have the luxury of choosing your own finish for the floor that suits your own personal taste and the room in which the floor will be installed. 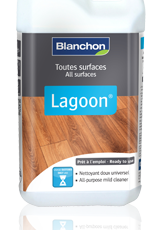 This flooring is popular as you can create a wide variety of looks by finishing the flooring on site with a finish of your choice. 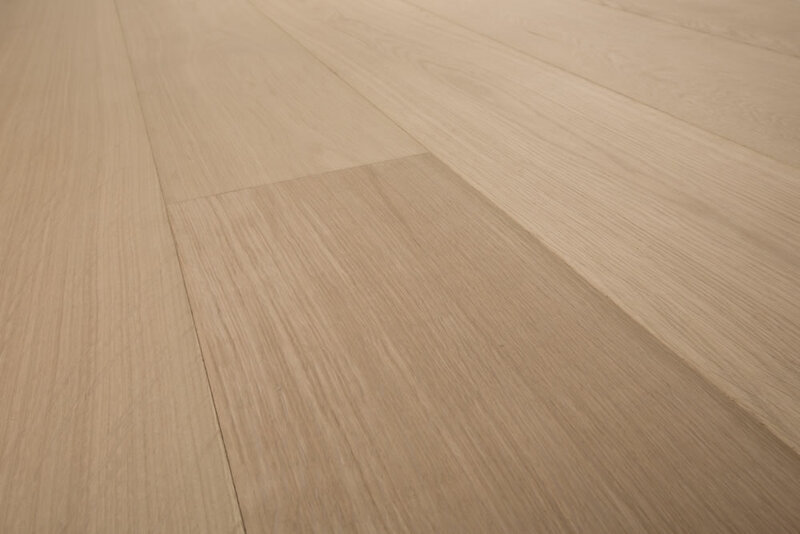 This unfinished engineered oak flooring is 15mm thick, which is made from 11mm of Eucalyptus plywood underside that is bonded to a full 4mm French oak wear layer and is 189mm wide. 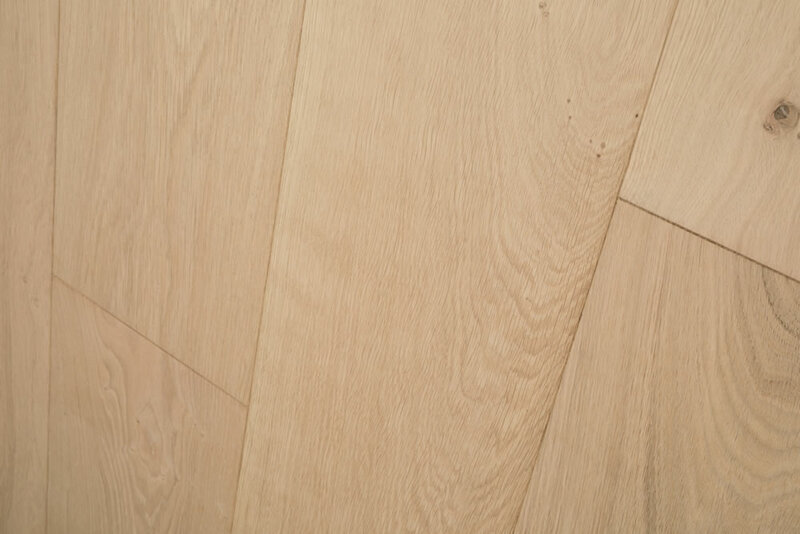 The flooring is single strip oak, which shows off beautifully the extra width that is available to you when you order from our engineered oak flooring product range. 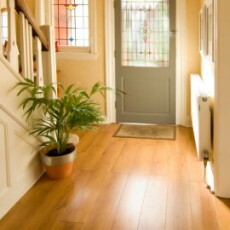 Our unfinished 15 x 189mm engineered oak flooring is suitable to be installed over under floor heating. 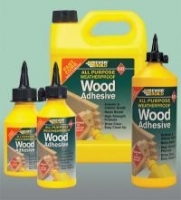 The engineered boards do not have a softwood core and because of this, they are strong enough to be fitted using any of the three common methods: glue down, nail down or float. 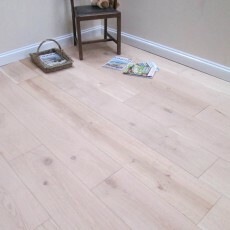 Your unfinished engineered oak floor is sanded ready to receive the finish of your choice after installation. 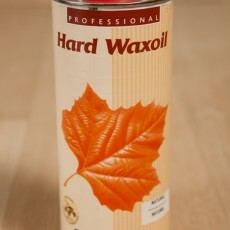 You can create whatever colour and style of finish you want for your room simply by the addition of a product such as wax oil, in whatever colour you want. 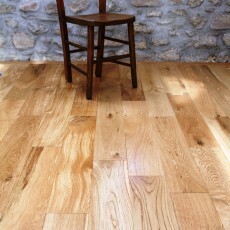 Unfinished engineered oak flooring allows you to create a variety of looks; from a contemporary, modern look in your home or venue through to an aged, well-worn and used look for a more vintage appeal. 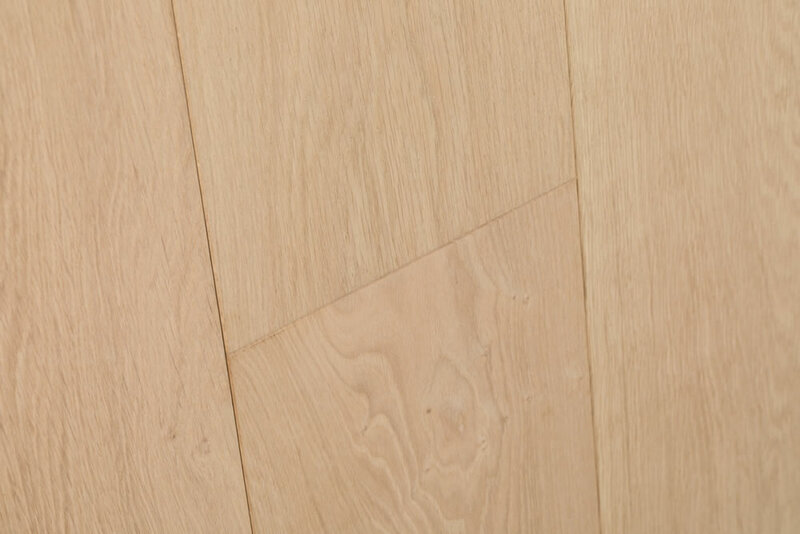 This flooring is particularly popular in rooms with large staircases and other similar features because the floor can be easily coordinated to match up with the rest of the room. 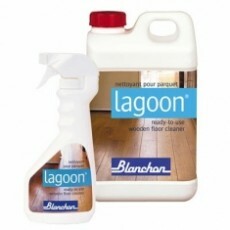 By finishing the flooring on site in your home or venue, a “seal” is achieved between each board, which is particularly useful for areas where spillages may occur. 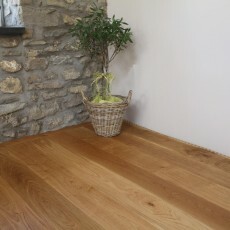 By choosing our unfinished engineered oak flooring, you are able to create a bespoke look to your flooring, giving you increased flexibility in changing the look of your room and providing you with many years of use and service from a high quality engineered oak floor.